It is 2016. A new year with new hopes, and a new set of challenges. But before we look ahead, I want to take a moment to reflect on 2015 and what you have helped us accomplish. (From here on out, when I say “we” or “our,” know that I am including you, because the League’s work is all thanks to you.) When fighting the good fight, the victories can sometimes be few and far between, so it’s important to celebrate the ones we get, big or small. We helped secure several key investments in the 2016 state budget for important programs, including more than $100 million to improve third-grade reading and help low-income children who are struggling in school, $20 million for mental health services for those not eligible for Medicaid/Healthy Michigan Plan, and a 13% increase in funding for adult education. 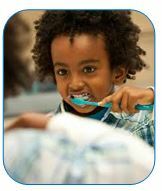 We also encouraged the expansion of Healthy Kids Dental, which provides accessible dental care for Medicaid-eligible children, to include 290,000 more children, ages 0-12 in Kent, Oakland and Wayne counties. The League’s advocacy and budget recommendations begin in February with the announcement of the Governor’s budget and continue throughout the legislative process in the House and Senate until a final budget is signed in the summer. It requires patience, diligence and a steady drumbeat from organizations and individuals alike to make things happen. Some achievements in the advocacy world, especially when fighting for low-income families, are simply dodging defeat. 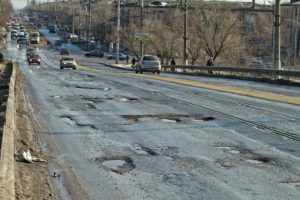 Over the course of road funding negotiations last year, elimination of the state Earned Income Tax Credit (EITC) that helps 780,500 low-income working families raising 1 million children make ends meet was proposed to help pay for roads. 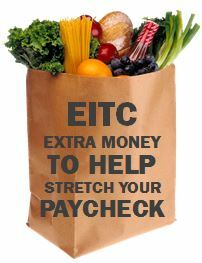 We successfully kept the Michigan EITC off the chopping block, and while the final roads plan leaves much to be desired, this was both a significant win and a battle that will continue in the months and years ahead. But while the League has been working hard all year for the people of Michigan, and for 103 years before that, our two biggest accomplishments came in the last two weeks of the year. After months of uncertainty, the federal government approved the second waiver for the Healthy Michigan Plan on December 17th. This decision will allow the program to continue, upholding affordable healthcare for more than 600,000 people in Michigan who would otherwise lose coverage in April 2016. While this waiver includes changes to the Healthy Michigan Plan, it will still protect healthcare options and keep costs down for low-income residents. The League was instrumental in the passage of the Healthy Michigan Plan and worked hard to make sure the waiver passed and the program continued. Perhaps the greatest accomplishment for 2015, both in its impact and its longevity, is Congress’ permanent—yes, permanent—extension of important provisions of the federal Earned Income Tax Credit (EITC) and Child Tax Credit (CTC). Without this bill’s passage, 16 million Americans would have been pushed into, or deeper into, poverty, including 357,000 in Michigan—nearly half of them children. While the League had been working on this for the last year, it was considered a longshot the whole way, making this achievement all the more significant. Because of the impact poverty has on children and their own future success, this historic public policy improvement will benefit generations to come. It’s been quite a year. And you helped make all of this possible. There will always be more work ahead, but with it comes more opportunities for change, and we are confident that we can continue to accomplish great things together. On behalf of the people of Michigan, thank you for continuing to support our work, and here’s to another great year.